Move over Best Buy and Fry's. Smaller, specialized, tech company shops are the future -- not that this is news to retail experts. It "always has been," said Stephen Baker, "once consumers started driving technology and not enterprise." NPD's vice president of industry analysis should know; he sat in the front-row watching Gateway shutter stores about the time Apple opened them (2001) through the demise of Circuit City and CompUSA and broadening of Internet retail sales. 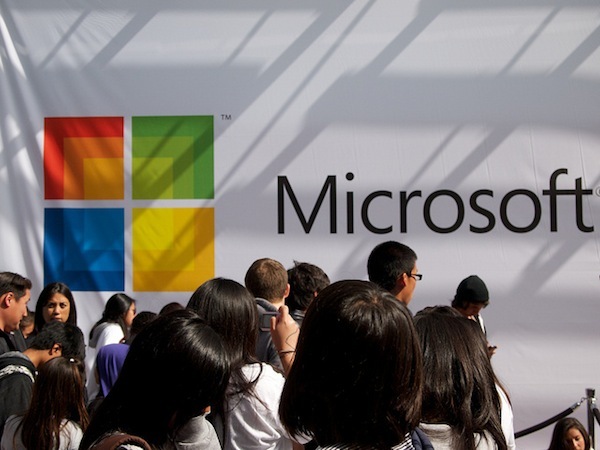 Microsoft opened its fourth retail store, in San Diego, on June 24, about two weeks after another opened in Colorado. Microsoft Store is the third corporate branded store in the same mall, Fashion Valley; Apple and Sony are there, too. The location of three company stores got me to thinking about the future of technology retailing, which is why I reached out to Baker (today) and put the question to Mika Krammer (yesterday). "I'm hoping that this changes the face of retail -- this Microsoft store," she answered. Krammer is general manager of merchandising and marketing for Microsoft Store. "We're making this about connecting to our customers. We're making it about the service that we provide to our customers." Apple operates about 222 stores in the United States, Sony about 40. Besides company stores, Apple and Sony also sell their products through other retailers, as does Microsoft. But it's the qualitative difference in consumer buying experience that differentiates the company stores from larger retailers. "The big guys are becoming more transaction oriented," Baker said. He described smaller company stores as more "organized" and "ecosystem focused, not transaction focused." He emphasized: "I think as content -- and services -- become more important to technology...it is less about pure transacational hardware sales and more about usability and connectedness." Apple and Microsoft offer in-store training for using hardware, software and services. All three provide in-store tech support: Apple Genius Bar, Microsoft Answers and Sony Backstage. Apple and Sony sell mostly end-to-end solutions (Sony offers some third-party software -- e.g., Windows on VAIO PCs). Product categories are similar: Computing, gaming, home entertainment, mobility, photography and videography, among others. Krammer described the breadth or simplicity of consumer computer knowledge at Microsoft Store: "If you want to talk speeds and feeds, you want to talk and debate dual core versus i7 [processors] you can do that. If you just want to say, 'Hey, I wanna surf the Internet and I wanna buy a PC for my kid and you know my son,' you can do that, too." Executives for Apple or SonyStyle stores could make similar assertions. While larger stores like Best Buy, Fry's or Walmart offer sales, service and customer support, the experience isn't as specialized (they sell lots of other stuff) and the incentives aren't there. "The question is how far you can go to be services, ecosystem focused and content focused in a big store and be successful (profitable)?" Baker asked. Microsoft Windows or Sony Bravia don't define Best Buy's brand. But these products do define the manufacturers' brands and how people use them. From that perspective, the company stores are as much about brand marketing as they are places to sell stuff. Apple, Microsoft and Sony all clearly are focused on building brand -- through in-store marketing initiatives -- and making sure customers feel good about the companies, their products and sub-brands. Hence, while profitability is important, the customer relationship takes precedence over the transaction. For example, Krammer explained that Microsoft Store specialists will help customers set up new PCs before they leave the shop. The process extends to customized skins and other extras, for as long as it takes. Well, she said even an "hour," which is forever in consumer retail sales. Would a Best Buy specialist spend so long when he or she has so much other, non-related stuff to sell? San Diego's Fashion Valley Mall will be an interesting petri dish for assessing the future of technology retailing, with Apple, Microsoft and Sony stores so close in proximity. Which shopping experience works best for you? Company stores, larger non-generalized stores, e-commerce shops, or something else? Please answer in comments.